The meaning and linguistic origin of the Plymale surname is not known. In fact, we know nothing about this family before they were living in Virginia in the mid-1700's. The "Plymale" spelling has been found in no European country, indicating that the name must be a corrupted spelling of some other European surname. The traditional story among descendants is that two brothers sailed from Brittany, France to Virginia in about 1730 and that all Plymales descend from one of these brothers. The story though is doubtful and even if it holds true, they could have originated in some other European country and France would have merely been a gateway on their journey to America. Over time, it has been suggested that the Plymale name is English, French, German, Dutch or even Welsh; without research satisfying any claim. The greatest likelihood is that our family is German in origin. Our Plymales probably came from the area of Bavaria in southern Germany or neighboring Bohemia (modern Czech Republic). We are likely connected to the name Pliemel (as spelled on a coat of arms in Bavaria in 1595), which has been spelled variantly in Europe as Bliemel, Plyml, Blumel, etc. In Europe today, the name is spelled Pliml, and is a very uncommon surname. The name itself is likely derived from the German word for flower: blume. Mr. Plymale was born circa 1710. He probably died in the late 1700s in Botetourt (now Giles) Co., Virginia. This unknown Plymale may have been the emigrant ancestor of our line in America. Unfortunately, we do not even know his first name. He was probably born circa 1710-1740. Nothing is known of his origins. Some family stories indicate that he immigrated to America with a brother for religious reasons. They moved to Virginia by the 1750's, and his brother is said to have moved back to France after their arrival. Mr. Plymale made his way to Botetourt County, Virginia, where he was married (his wife's name is not known either). There they had 6 known children: Anthony (see next generation), Michael, John, Elizabeth, Anne and James. Sometime in about the 1770s, the Plymales moved once more to Giles County, Virginia. There in Giles County, Mr. Plymale built a log cabin about 25 miles from what is now Pearisburg, Virginia. He probably died in the late 1700s in what is now Giles County, Virginia. It is possible that this Mr. Plymale was closely related to Peter and Magdalena Plymeal of Cook County, Pennsylvania and Loudon County, Virginia. They had children named John Michael, Maria Elizabeth and Margreth. They may have also been the parents of Jacob and Barbara, who were orphaned in 1777. Mr. Plymale was married to a woman, probably in Virginia, but her name is not known. She probably died in Botetourt (now Giles) Co., Virginia. 2 Michael Plymale was born circa 1762 in Virginia. He died about 1818 in Lexington Co., South Carolina 1. He was married to Amy Hudson on January 19, 1785 in Bedford Co., Virginia 1. 4 Elizabeth Plymale was born circa 1771 in Virginia. She married William Davis on October 19, 1791 in Botetourt Co., Virginia 1. She may have died in Cabell Co., Virginia (now West Virginia). 5 Anne Plymale was born circa 1772 in Virginia. She married to Joseph Elliott on August 13, 1792 in Patrick Co., Virginia 1. 6 James Plymale was born circa 1775 in Virginia. He died possibly in Tennessee. Anthony Plymale was born circa 1758 in Botetourt County, Virginia. He died circa 1840 in Harrison Twp., Gallia Co., Ohio 1. Anthony was married to Bethia Bowen on January 11, 1789 in Botetourt County, Virginia. They settled in what is now Giles County, Virginia. There Anthony and Bethia raised 13 children: Elizabeth, Theodosia, Mary, John, William, Magdalene, Anthony, James, Tabitha, Gabriel (see next generation), Hugh, Bethia, and Bowen. Anthony maintained his parents' homestead in Giles County, Viriginia after their deaths and was thought to be moderately prosperous. In about 1812, Anthony's wife Bethia died. In 1816, he was remarried to Ann Criner, by whom he had no children. In about 1820, Anthony sold his homestead in Giles County and moved with some of his family to Harrison Township, Gallia County, Ohio. Before his move, Anthony had sold or deserted his entire Giles County homestead, which was thought to be some 5,000 acres. He died in about 1840 in Harrison Township, Gallia County, Ohio. He is believed to be buried in the Porter Family Cemetery in Gallia County with his second wife Ann. His first wife Bethia is probably buried on the old Plymale homestead in Giles County. Anthony was married to Bethia Bowen on January 11, 1789 in Botetourt (now Giles) Co., Virginia 1. 1 Elizabeth Plymale was born circa 1791 in Botetourt (now Giles) Co., Virginia 29. She died on October 6, 1876 in Readers Mill, Harrison Co., Iowa. She is buried in the Bethel Cemetery, Readers Mill, Harrison Co., Iowa. She had a relationship with an unknown man. 2 Theodosia Plymale was born circa 1792 in Botetourt (now Giles) Co., Virginia. She died circa 1847 in Gallia Co., Ohio. She married to Thomas Rowe on August 25, 1809 in Giles Co., Virginia 1. (He was born circa 1789 in Virginia and died after 1860 in Wayne Co., Virginia (now West Virginia). 3 Mary Plymale was born circa 1794 in Botetourt (now Giles) Co., Virginia 29. She died after 1870 in Pulaski Co., Virginia. 4 William B. Plymale was born circa 1795 in Botetourt (now Giles) Co., Virginia 29. He died on June 25, 1863 in Potts Creek, Alleghany Co., Virginia 1. 5 John Plymale was born on November 15, 1795 in Botetourt (now Giles) Co., Virginia 1. He died on August 4, 1872 in Wayne Co., West Virginia 1. John married second to Lourana Shelton on September 1, 1833 in Wayne Co., Virginia (now West Virginia) 1. 6 James Plymale was born circa 1798 in Botetourt (now Giles) Co., Virginia. He died after 1839. He married to Mary, probably before 1825. The details of James' life are unknown. Many records seem to confuse him with various other James Plymales/Plymells. According to surviving family history, this James (son of Anthony and Bethia) had sold his land and moved "out west" when young (one source says he went to the mid west). Later, he went to California during the Gold Rush of 1848. Sources suggest that James had "struck it rich" in California, but was robbed on his way back home (circa 1851), resulting in the loss of either fingers or his entire arm. He apparently moved back east and settled in either Kansas or Arkansas, where he died. Below are the various James Plymales/Plymells in contemporary records during the same time period (some are probably the same person). 1. James Plymale was born between 1790 and 1800. He moved to what is now Wayne County, West Virginia and purchased land in 1825 near brothers John and Gabriel Plymale. This James was married to a woman named Mary. They were enumerated in Cabell County in 1830 (with 3 sons) and sold their land in 1839; and apparently moved elsewhere. 2. James Plymale/Plymell, was born circa 1799 in Virginia. He had moved to Arkansas sometime before 1830. He had married to Leanner/Leander Nelson in 1832 and had children including Mary, Joseph and A. He was in Jefferson Co., Arkansas in 1830, 1832, 1850 and 1860; and was in Johnson Co., Arkansas in 1840. 3. James "Plymel" was living in Delaware Co., Ohio in 1820. He was apparently born between 1794-1804 and was married with one son. 4. James "Plymel" was living in Marion Co., Ohio in 1830. He was apparently born between 1780-1790 and was married with 2 sons and 3 daughters. 5. James Plymale "is said to have married into an Indian tribe in Eastern Tennessee and lived there until his death." 7 Anthony Plymale was born on April 4, 1800 in Botetourt (now Giles) Co., Virginia 1. He died on March 10, 1886 in Wayne Co., West Virginia 1. Anthony married second to Sarah Harmon on July 26, 1882 in Wayne Co., West Virginia 1. 8 Tabitha Plymale was born circa 1803 in Botetourt (now Giles) Co., Virginia 29. She died after 1850. I have not been able to locate Tabitha, her husband or any of her children after 1850, when they were living in Wayne Co., Virginia (now West Virginia). It is possible that they all died during the 1850s. 10 Hugh Plymale was born on December 6, 1807 in Giles Co., Virginia 1. He died on September 18, 1878 in Gallia Co., Ohio 1. Hugh married second to Rebecca Stevers on September 21, 1854 in Gallia Co., Ohio 1. (She was born in 1818 1 and died in 1915 1). 11 Magdalene "Maggy" Plymale was born circa 1808 in Giles Co., Virgnia 29. She died on October 6, 1874 in Dublin District, Pulaski Co., Virginia 57. She married to John Wesley White on February 25, 1824 in Montgomery Co., Virginia 47. (He was born circa 1798 in Virginia 29 and died after 1880 in Pulaski Co., Virginia). When Magdalene's father and step mother moved to Ohio in about 1820, she apparently remained behind in Virginia. She may have lived with her sister Mary Plymale Louks. After her marriage in 1824, Magdalene and her husband settled in the part of Montgomery County, Virginia that became Pulaski County in 1839. They lived near Newbern in Pulaski County. 12 Bethia Plymale was born on November 14, 1810 in Giles Co., Virginia 47. She died on April 13, 1884 in Springfield, Bon Homme Co., South Dakota 47. She is buried in the Springfield Cemetery, Springfield, Bon Homme Co., South Dakota. They apparently had no children. She and her family moved to Knox Co., Illinois in the early 1840s (where several of her siblings were living). In 1860, Bethia was living in Johnson Co., Iowa. She eventually moved to Bon Homme Co., South Dakota. 13 Bowen Plymale was born circa 1812 in Giles Co., Virginia 29. He probably died between 1875 and 1877, in Illinois or Missouri. He married second to Sarah Elizabeth, widow of a Mr. Emery, on May 23, 1875 in Union Co., Illinois. (She was born circa 1849 and died after 1877). Details about Bowen's youth are not clear. He was possibly the man of his age group living in his brother Anthony's household in 1830 (in what is now Wayne Co., West Virginia). Bowen was probably married to Elizabeth in Virginia during the mid-to-late 1830s. Many researchers have listed her name as Elizabeth Calhoun, but I know of no contemporary source that provides her maiden name. Bowen and his family moved frequently. They began living together somewhere in Virginia and also probably spent time living briefly in Ohio during the early years of marriage. Sometime during the early 1840s they moved to Indiana and then to Illinois. They were in Knox Co., Illinois in 1850 (where his siblings Elizabeth, Gabriel and Bethia were living). They were somewhere in Indiana in 1854. In 1857, they were in Sullivan Co., Indiana. In 1860, they were living in Edgar Co., Illinois. In 1864, they were in Vigo Co., Indiana and in 1865 they were back in Edgar Co., Illinois. After this, they apparently went to Missouri, where their daughter Martha was married in 1866 in St. Charles County. In 1870, they were in Wayne Co., Missouri. 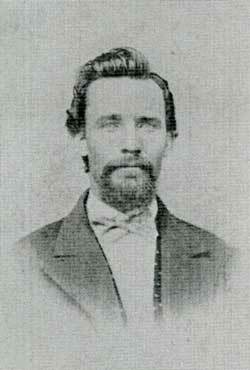 Bowen was living somewhere in Missouri in 1871. In 1875, he married a widow named Sarah Emery in Union Co., Illinois. His widow remarried in 1877 in Monroe Co., Illinois. Bowen served in the Union Army during the Civil War out of both Illinois and Indiana. Anthony married second Ann Criner on November 27, 1816 in Giles Co., Virginia 51. She died after 1820 in Gallia Co., Ohio. Gabriel Plymale was born on October 2, 1804 in what is now Giles County, Virginia 1,31,32. He died on November 14, 1852 in Jacksonville, Jackson Co., Oregon 15. He is buried in the Jacksonville Cemetery, Jacksonville, Jackson Co., Oregon. Gabriel was raised on the family farm in Giles County, Virginia. In 1820, his father and some other family members left Virginia and moved to Gallia County, Ohio. Gabriel was 15 years old at the time, and it is not known if he moved with his father to Ohio or began living with other siblings. Eventually he moved to what is now Wayne County, West Virginia, where several of his siblings were living. There, he met and became engaged to Mary "Polly" Hatfield, a young woman who lived nearby. They were married on October 16, 1828 by the Rev. Stephen Spurlock in Cabell Co., Virginia (now West Virginia). Gabriel and Mary settled on a farm in what is now Wayne County, West Virginia and built a log cabin. There, they lived very close to his brothers John, James and Anthony. In 1834, Gabriel sold his 160-acre farm and moved with his family to Knox County, Illinois. Years later, Gabriel's grandson (who was born many years after he died) said that Gabriel moved to Illinois because he did not approve of slavery that was then legal in Virginia. (This may not be accurate, because the grandson also stated that Gabriel's family owned 200 slaves, when in reality they did not own any slaves.) In Knox County, Illinois, Gabriel and his family settled on a farm in Galesburg Township, just south of the city of Galesburg. There, they engaged in stock raising and also owned land in neighboring Cherry Grove and Sparta Townships. In addition to farming, his grandson also indicates that Gabriel cut black walnut logs that were shipped to England to be made in to furniture. He apparently went to Chicago twice per year for supplies. In about 1848, Gabriel's brother James left for the California Gold Rush and his move may have inspired Gabriel to do the same. On April 6, 1852, Gabriel and his family left Illinois and made the long and dangerous journey on the Oregon Trail arriving at Jacksonville, Oregon, in October 1852. Gabriel died on November 14, 1852 of Typhoid Fever contracted during the journey. His wife remained in Jacksonville for a year and in 1853, went into the valley outside of Jacksonville where with the help of her sons, claimed a farm and built a home where she died in 1875. Gabriel was married to Mary Ann Hatfield on October 16, 1828 in Cabell Co., Virginia (now West Virginia) 1,32,33. 1 Minerva Jane Plymale was born on September 29, 1829 in Cabell (now Wayne) Co., Virginia (now West Virginia) 33. She died on October 17, 1910 in Jacksonville, Jackson Co., Oregon 33. She is buried in the Jacksonville Cemetery, Jacksonville, Jackson Co., Oregon. Minerva's husband Robert Armstrong was her step-cousin. He was the stepson of Minerva's aunt Bethia Plymale Armstrong. 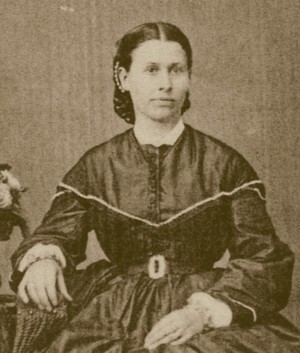 Minerva moved with her family to Illinois in 1834 and she moved over the Oregon Trail in 1852 with her husband, children, parents and siblings. After arriving in Oregon, Minerva and her husband settled on a Donation Land Claim northeast of Jacksonville, Oregon, where they lived for many years. After her husband's death, Minerva moved to a house in Jacksonville, Oregon, where she remained until her death. 2 Anderville Plymale was born March 15, 1831 in Cabell (now Wayne) Co., Virginia (now West Virginia) 15. He died on December 22, 1852 in Jacksonville, Jackson Co., Oregon 15. He is buried in the Jacksonville Cemetery, Jacksonville, Jackson Co., Oregon. Anderville is said to have been named after a place in Virginia where the Plymale family lived (In reality, no such place has been located). Anderville died from Typhoid Fever contracted during the family's journey on the Oregon Trail. 3 Francis Marion Plymale was born on March 17, 1833 in Virginia 1,36 *. He died on February 17, 1900 in Medford, Jackson Co., Oregon 36. He is buried in the Eastwood I.O.O.F. Cemetery, Medford, Jackson Co., Oregon. * According to all surviving information from his descendants, he was born in Giles County, Virginia. This is unlikely though. Francis' father Gabriel was born and raised in Giles County, Virginia, but had probably moved away from the area in about 1820. He moved across the state to what is now Wayne County, West Virginia. Francis' parents were married there in 1828 and are documented as living there (owning land) between 1828 and 1834. It is likely then that Francis was actually born in Wayne County, West Virginia. It is possible his family thought he was born in Giles County, Virginia; because that is where the Plymales were originally from. 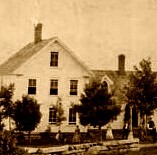 Francis took over the Plymale farm from his mother in the mid-1860s. He lived there until 1889, when he moved with his family to the newly formed city of Medford, Oregon. Francis worked as a ranch farmer for most of his adulthood. In 1884, he began renting out his farm and entered into a partnership with William Angle to operate a mercantile store in the city of Medford. They operated the store in Medford until their retirement in about 1898. 4 . 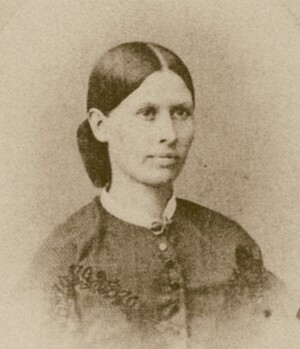 Elizabeth Plymale was born circa 1835 in Galesburg Twp., Knox Co., Illinois 29. She died on May 8, 1890 in Portland, Multnomah Co., Oregon 42. She is buried in the Lone Fir Cemetery, Portland, Multnomah Co., Oregon. Between 1855 and 1858, Elizabeth and her husband lived near her mother's ranch in rural Jackson County, Oregon. Then between 1858 and 1863, they lived in Roseburg, Oregon. After this, they may have lived briefly in Jacksonville, Oregon (where George probably co-operated a livery stable with his brother-in-law Sebastian Plymale). In 1868, they were living in Yreka, California. In 1870 and 1871, they were living in Oroville, California. In 1873, they were living in Thurston County, Washington Territory. Sometime before 1876 they had returned to Oregon and settled at East Portland, Oregon. They have not been found in the 1880 census. In 1889, they were living in Duwamish (Georgetown, now a part of Seattle), King County, Washington. They returned to Portland shortly after this where Elizabeth died. Elizabeth's granddaughter Rhea Mitchell (1890-1957) was a famous silent film actress, acting in films in Hollywood between 1913 and 1952. 6 Sebastian Plymale was born on September 12, 1838 in Galesburg Twp., Knox Co., Illinois 37. He died on May 6, 1920 in Portland, Multnomah Co., Oregon 37. He is buried in the River View Cemetery, Portland, Multnomah Co., Oregon. As a young adult, aside from working on the family ranch, Sebastian also worked as a miner and a clerk. In about 1865, he apparently purchased some land in Jacksonville, Oregon, where he successfully operated a large livery stable on Oregon Street. In 1868, Sebastian began construction of his house at the same location. He and his wife apparently lived there until 1871, when they sold the house and livery stable to John Manning and moved to Portland, Oregon (Manning sold this land to Sebastian's brother William in 1875). In 1873, Sebastian was running an ice rink in Portland. He eventually became a machinist and worked for the Portland Gas Savings Association as a manager. 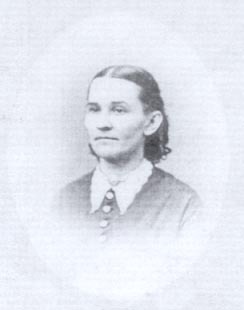 7 Sarah Plymale was born on June 6, 1840 in Galesburg Twp., Knox Co., Illinois 38. She died on August 18, 1906 in Roseburg, Douglas Co., Oregon 39. She is buried in the Roseburg I.O.O.F. Cemetery, Roseburg, Douglas Co., Oregon. After their marriage, Sarah and her husband lived for several years in Jacksonville, Oregon. In about 1872, they moved to Roseburg, Oregon. In about 1874, they moved to Eugene, Oregon. Then in about 1875, they moved to Marshfield (now Coos Bay), Oregon. They moved a final time back to Roseburg, Oregon in about 1883. Sarah's husband Lewis operated a hotel in Roseburg. The hotel suffered a devastating fire in 1884 in which Lewis was killed. Sarah spent the remainder of her life in Roseburg. Between 1884 and her death in 1906, she lived in a house at what is now 825 SE Jackson Street, just across the street from the house of her sister Emily Plymale Autenrieth. One family history from her descendants indicate that her middle name was "Mary", yet Sarah is never listed with a middle name or initial on any contemporary record. The Plymale family website (http://www.plymale.com) lists her name as "Sarah (Polly) Plymale" with a year of death of 1911. This is not true, and it confuses her with her sister Pauline (see below) and provides the wrong death year. 8 Narrissa Plymale was born on February 14, 1842 in Galesburg Twp., Knox Co., Illinois 41. She died on June 10, 1924 in Portland, Multnomah Co., Oregon 41. She is buried in the Huntington I.O.O.F. Cemetery, Huntington, Baker Co., Oregon. She married first to William A. Wilkinson on May 8, 1859 in Jacksonville, Jackson Co., Oregon 10. (He was born circa 1832 29 and died after 1866). They divorced on November 16, 1866. She is frequently listed on the internet with the name "Narcissa", but her name was actually Narrissa and was never spelled with a "C" during her lifetime. Narrissa and her first husband lived in Jacksonville, Oregon, where they rented a house from the Klippel family. It was there in 1863 that Narrissa's husband William abandoned her and their children while they were all very sick. At that time, she went to go live on her mother's ranch in what is now Medford. Three years later, Narrissa was finally divorced. 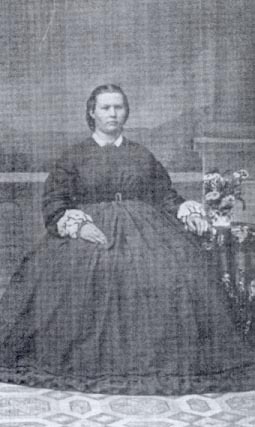 In about 1867, she moved with her mother and some of her siblings to Jacksonville. 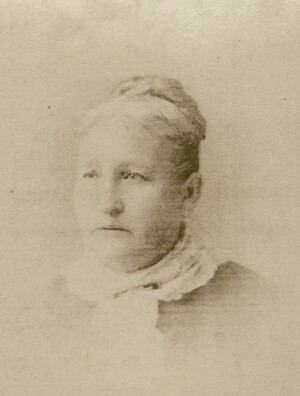 After her second marriage in 1869, Narrissa continued living in Jacksonville, Oregon. In about 1874, they moved to Yreka, California where they remained about two years. In 1876, they moved back to Jacksonville, Oregon but only remained for one year. In 1877 they moved to Lake City, California, where they lived for at least four years. Sometime between 1881 and 1885, they returned again to Jacksonville, Oregon. In about 1893, Narrissa and her family moved a final time to Huntington, Oregon, where they remained. After the death of her husband in 1907, Narrissa moved to nearby Baker City, Oregon to live with her daughter. In about 1914, Narrissa moved to Portland, Oregon, where she spent the rest of her life. Her grandson and only surviving descendant, Charles Goodman, died unmarried in 1918. 9 Pauline* (Mary) "Polly" Plymale was born on April 7, 1844 in Galesburg Twp., Knox Co., Illinois 15. She died on June 24, 1885 in Manzanita Pct. (now Medford), Jackson Co., Oregon 15. She is buried in the Jacksonville Cemetery, Jacksonville, Jackson Co., Oregon. She married first to Sullivan Milton Farren on December 31, 1867 in Jacksonville, Jackson Co., Oregon 10. (He was born circa 1834 in Massachusetts 29 and died after 1879). They were divorced on November 25, 1879. Pauline married second to Carl Brown on January 29, 1881 in Jacksonville, Jackson Co., Oregon 10. Pauline and her first husband spent the first year or two of marriage in Jacksonville, Oregon. In 1869 or 1870, they moved to Fort Jones, California. In the late 1870s, after her husband abandoned her and her children, she moved back to Jacksonville, Oregon where she was divorced. She left no surviving descendants, as all four of her children died young and unmarried. * Her original/legal name was "Mary Plymale" (she is listed in court records in 1855, 1856 and 1866 as "Mary") yet she apparently always went by the pet version of the name "Polly" or sometimes as "Pod". As an adult, she changed her name (unofficially) to "Pauline" (perhaps to differentiate herself from her own mother). The plymale.com website incorrectly lists her name as "Sarah Pauline Plymale", confusing her with her sister. Sullivan Farren was born with the last name Farrer, but changed his last name legally to Farren in 1861 in California. He was the son of Rufus and Margaret Farrer of Otsego Co., New York. He was apparently never heard from after his divorce in 1879, when it is believed he had been living in California. He may have assumed a new name, or perhaps was dead. He had died sometime before 1896. 10 Emmasetta "Emily" Plymale was born in February 1848 in Galesburg Twp., Knox Co., Illinois 29. She died on June 27, 1910 in Roseburg, Douglas Co., Oregon 43. She is buried in the Roseburg I.O.O.F. Cemetery, Roseburg, Douglas Co., Oregon. She married Edward Herman Autenrieth on October 27, 1874 in Eugene, Lane Co., Oregon 44. (He was born on February 24, 1848 in New Orleans, Orleans Co., Louisiana 45 and died on August 3, 1907 in Yreka, Siskiyou Co., California 46. He is buried in the Evergreen Cemetery, Yreka, Siskiyou Co., California.) They were divorced circa 1890-1891. William Jasper Plymale was born on February 9, 1837 in Galesburg Township, Knox County, Illinois 12,13,14. He died on January 10, 1904 in Jacksonville, Jackson Co., Oregon 12,14. He is buried in the Jacksonville Cemetery, Jacksonville, Jackson Co., Oregon. William spent his childhood in Knox County, Illinois, where his parents were farmers. They were probably members of the Methodist church while living in Illinois. In early 1852, 15-year old William and his family left Illinois aboard a covered wagon train and arrived in southern Oregon in October 1852 after a 6-month journey. Sadly, William's father and oldest brother died within two months of the family's arrival in Oregon. William and his surviving family spent the winter of 1852-1853 in Jacksonville and in the spring of 1853, they went to the valley surrounding Jacksonville, where they claimed a 320-acre ranch. Aside from whatever education William received in Illinois, he also attended school in Jacksonville. After this, William was sent to Willamette University in Salem, Oregon, which was at that time one of the only institutions of higher education on the west coast. 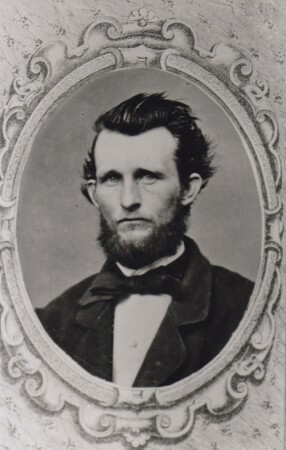 William returned to Jackson County, Oregon in the early 1860s. On July 9, 1863 in Jacksonville, William was married to a young schoolteacher named Josephine Martin. They began married life together living on the Plymale ranch in Manzanita Precinct (now within the city of Medford). They had 12 children: William, Ada, Kate, Walter, Louis, Frank, Emaline, Marie, McDonough, David, Victor, and Benjamin (see next generation). While attending college, William apparently studied surveying and politics. In the early years of his marriage, William worked as a surveyor (perhaps for the State of Oregon). From about 1863 to 1864, William worked on a team that was surveying land for the much-anticipated railroad that would eventually pass through the state of Oregon. In 1864, William was elected to the position of Jackson County Surveyor. He served two terms in this position (8 years: 1865-1873). During this time, William also served as editor of an early newspaper based in Jacksonville called "The Reporter." After his position as Surveyor was over, he decided to run for higher political office. 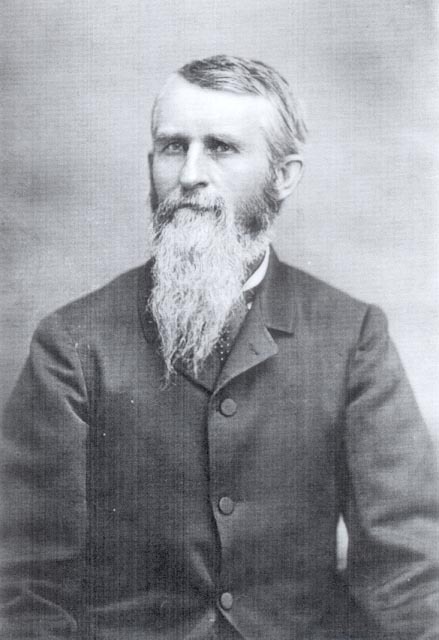 In 1874, William ran as a Democrat for the office of Representative for the Oregon State Legislature and was elected to one term. In 1875, he returned to southern Oregon and he decided that he no longer wanted to be a farmer. In that year, he traded his portion of the Plymale ranch with a man who owned a house and livery stable business in the city of Jacksonville, Oregon (the house and stable had originally been built and operated by William's brother Sebastian, who had moved to Portland a few years earlier). The Plymales lived in this house on Oregon Street and made enough income from the livery stable to support their large family. After moving to Jacksonville, William turned most of his attention to political and literary pursuits. He ran for several offices before being appointed (or elected?) as Justice of the Peace in about 1888. He served in this capacity for the rest of his life. Prior to this, William also served as a Deputy County Clerk and he also worked during the early 1880s as a fire insurance agent. In matters of politics, William was a Democrat up until the 1890s when he became a Republican. (Although conjecture, this change in attitude may have had something to do with the fact that his wife Josephine had always been a Republican in politics.) William was also a cultivated writer. He was a steady correspondent for several newspapers in the area and also did much "freelance" writing on the history of Oregon. Some of his work is on file with the Oregon Historical Society. Although Democrats at that time period are usually associated today with racism and bigotry, William seems to have held rather liberal views on the subject of "the other." His surviving literary work lambasted the White man's treatment of Native Americans. In September 1888, William's house in Jacksonville burned down. They are said to have escaped in the middle of the night with only the clothes on their backs. Their exact place of residence over the next year is unknown, but they probably lived in or near Jacksonville. In 1890, they purchased a house across the street from the location of their old home. (This house at 180 N. Oregon Street is in Jacksonville and is still standing today where it is aptly called "The Plymale House."). William's beloved wife died in 1899 and he continued to live in Jacksonville, where he worked on his writing. William must have not made much money working as a Justice of the Peace. By the time of his death, he left his family much in debt, and it was probably for this reason that his granddaughter years later referred to him as a "ne'er-do-well." William died at his home in Jacksonville, Oregon, on January 10, 1904 from a short bout with pneumonia. He was 67 years old. William married to Josephine Lucretia Martin on July 9, 1863 in Jacksonville, Jackson Co., Oregon 10. 1 William Lee* Plymale was born on May 19 54 or May 29 16,53, 1864 in Manzanita Pct. (now Medford), Jackson Co., Oregon. He died on April 24, 1921 in Yreka, Siskiyou Co., California 16,17,53. He is buried in the Evergreen Cemetery, Yreka, Siskiyou Co., California. He married first to Nellie Ann Luy on December 18, 1887 in Jacksonville, Jackson Co., Oregon 10. (She was born on January 11, 1867 in Jacksonville, Jackson Co., Oregon 17and died on January 31, 1959 in Oakland, Alameda Co., California 17.) They were divorced on December 9, 1892 in San Francisco, San Francisco Co., California 52. * His birth notice in the Jacksonville Democratic Times indicated that his name was "McClellan Plymale", but this was changed because he always went by the name "William Lee Plymale." The choice of his name may have been a political statement. His father, William Plymale, had apparently been a Republican in politics, which suggests he supported the Union side during the Civil War, which was probably why he originally chose to name his son after Union General McClellan. However, William apparently defected to the Democratic party in 1864 in order to win election as Jackson County Surveyor. He may have changed his son's name in honor of Confederate General Robert E. Lee in order to appeal to his supporters. William moved frequently as a young adult. In about 1882, at the age of 18, William moved to Yreka, California, where he worked for the Yreka Journal newspaper. Then sometime between 1882 and 1884, William moved to Portland, Oregon where he attended the Portland Business College. In 1884, he was living with his uncle Sebastian Plymale in Portland. In 1887, William was back in Jacksonville when he was married to Nellie Luy. They were still living in Jacksonville in 1888 when their daughter was born. Then in 1889, they were living in Salem, Oregon, where William worked as a printer for the Statesman newspaper. In 1890, William was then living in Albany, Oregon. Then in 1892, William and Nellie were divorced in San Francisco, but it is unknown if William ever lived there. In late 1892, William was living in Medford, Oregon. In 1895 and 1896, he was again living in Salem Oregon, with two of his siblings. Sometime between 1896 and 1898, he returned to Yreka, California. He lived in Yreka for the rest of his life, where he continued to work for the Yreka Journal newspaper as a printer. 2 Ada "Addie" Cora Plymale was born on September 16, 1866 in Manzanita Pct. (now Medford), Jackson Co., Oregon 19. She died on November 14 55 or November 16 17, 1933 in San Francisco, San Francisco Co., California. She is buried in the Jacksonville Cemetery, Jacksonville, Jackson Co., Oregon. Ada followed in her mother's footsteps as a newspaper enthusiast. Prior to her marriage, Ada worked for a newspaper called Hesperian, based out of Portland, Oregon. Ada's husband Douglas was a newspaper printer. After their marriage in 1885, they lived briefly in Jacksonville, Oregon. In about 1887, they moved to Salem, Oregon, where they lived in the Yew Park neighborhood. In 1889, Douglas and Ada were both working for The Statesman, a Salem newspaper. In 1896 they moved to Oakland, California. In 1900, they had just moved to San Francisco when her husband died suddenly at the age of 35. After this, Ada moved back to Oakland, where she lived briefly. In 1903 Ada was appointed the postmistress [postmaster] of Byron Springs, California (a resort town east of Oakland and San Francisco), but did not remain there long. In 1904, she was again living in Oakland, California. For the next two years, she lived in Oakland but worked in San Francisco as a stenographer for the Fulton Iron Works. She was at her office during the great San Francisco earthquake in April 1906. She escaped unharmed but her workplace, her home and all of her belongings were destroyed. After spending about three weeks as a homeless refugee in the Presidio, she evacuated to Medford, Oregon to live with her sister Kate. During the year 1906, she tried to find work. Over the summer of 1906, she worked as a stenographer briefly in Grants Pass, Oregon and Roseburg, Oregon. In August 1906, she moved to Seattle, Washington, where she found permanent employment, but only worked there for about 4 months. In December 1906, she moved back to San Francisco, where she once again worked as a stenographer for the Fulton Iron Works. Ada moved frequently in her widowhood. She spent most of the rest of her life in San Francisco, where she lived in at least 7 different apartments. In 1923, she moved to the remote town of Quincy, California, where worked as a stenographer for the Forest Service there. After having only been there for four months, she suffered a stroke while at work and became bedridden. Her sisters Emaline and Marie came to her side to care for her, and took her to San Francisco for hospital treatment. Then in early 1924, her sister Emaline took her to Reedley, California (near Fresno) to live with her. Ada lived with her sister in Reedley for an unknown amount of time, until was healthy enough to return to her normal life. Sometime between 1924 and 1927, she had returned to San Francisco; where she remained for the duration of her life. By 1930, she had entered a nursing home ("relief home for aged and inferior"), she where died in 1933 at the age of 67. Although Ada had moved away from her family, she remained close with them. 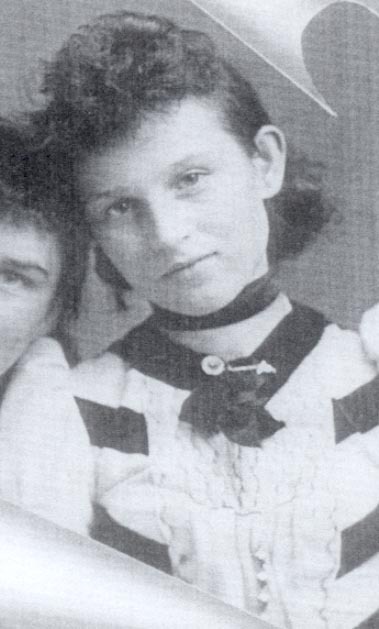 During the late 1890s, her sister Emaline lived with her. In 1908 and 1914, her brother Frank was living with her. In 1920, her brother Victor and his wife were living with her. She seems to have been closest with her sisters Kate and Emaline. 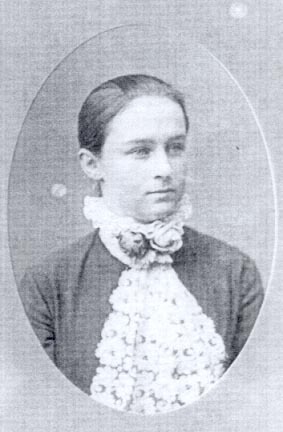 3 Kate May Plymale was born on May 1, 1868 in Manzanita Pct. (now Medford), Jackson Co., Oregon 21. She died on November 8, 1960 in Medford, Jackson Co., Oregon 39. She is buried in the Jacksonville Cemetery, Jacksonville, Jackson Co., Oregon. Various sources, including her obituary and tombstone, list her birth year as 1867. In reality, Kate was born in 1868. In 1886, Kate traveled to Portland, Oregon with her father where she intended to stay and attend school. It is unknown if she actually stayed there. 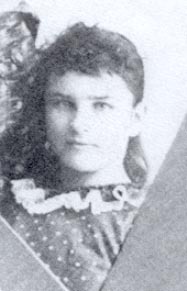 In 1889 she was again living in Jacksonville with her family. In 1893, Kate was living with her sister Ada in Salem, Oregon, where she had already been living for "several years". In 1894 and 1895, Kate was listed as an employee ("attendant") of the State Insane Asylum in Salem, and it is not known how long she held that position. In 1900, she was once again living in Jacksonville, Oregon, with her family. It is possible that she had returned home after her mother's death in 1899 to help care for her father and young siblings. Kate was still living at home when her father died in 1904. After this, she inherited the family home in Jacksonville and continued living with her two youngest brothers who were still minors. In July 1904, she married a much older man named Thomas Collins. Immediately after, they moved to his house in Medford, Oregon. She spent the duration of her life in at least three different homes in Medford. 4 Walter Marion* Plymale was born on January 20, 1870 in Manzanita Pct. (now Medford), Jackson Co., Oregon 23. He died on June 5, 1938 in Selma, Fresno Co., California 17. He is buried in the Jacksonville Cemetery, Jacksonville, Jackson Co., Oregon. He married first to Bertha Ann McFarlane on March 23, 1898 in Salem, Marion Co., Oregon 1. (She was born on January 29, 1877 in Marion Co., Oregon 17 and died on December 3, 1956 in Riverside Co., California 17. She is buried in the Salem Pioneer Cemetery, Salem, Marion Co., Oregon.) They were divorced sometime between 1913 and 1920. Walter married third to Mary Craig Fairchild (widow of his brother William) on December 12, 1925 in Redding, Shasta Co., California. In his youth, Walter attended the Portland Business College in Portland, Oregon, which was operated by his cousin Anderville Armstrong. Apparently, he did not avail himself in business, as he spent most of his adulthood working as a blacksmith, but also changed occupations quite frequently. Walter moved to Salem, Oregon (where several of his siblings lived) sometime before 1891. During the 1890s and 1900s, Walter moved frequently within Marion County, Oregon. He primarily lived in the city of Salem, and also spent time living in the smaller towns of Turner, Stayton, Independence, Gervais, and Aurora. In 1901, Walter began working for the Salem police department with the task of collecting dog taxes, but that job did not last long. In 1913, Walter moved with his family to Kansas City, Missouri. It was while living in Kansas City that Walter and his wife Bertha were divorced (family stories are that he was physically abusive towards her). Then sometime between 1921 and 1924, Walter had remarried and moved to Yreka, California. Then 7 months after the death of his second wife, Walter remarried to Mamie Plymale, the widow of his older brother William. They began living together in Yreka, but were apparently separated or divorced before her death one year later. After this, Walter moved to Fresno, California, where his siblings Frank, Emaline and David had been living. Walter spent the rest of his life living in Fresno and nearby Selma, California. *Various sources incorrectly list his middle name as "Marvin", yet it was Marion. 5 Louis Harding Plymale was born on March 17, 1872 in Manzanita Pct. (now Medford), Jackson Co., Oregon 24. He died on December 29, 1916 in Medford, Jackson Co., Oregon 24. He is buried in the Jacksonville Cemetery, Jacksonville, Jackson Co., Oregon. Louis was never married or had any children. In 1889, he moved to Salem, Oregon, where he attended the Capital Business College. 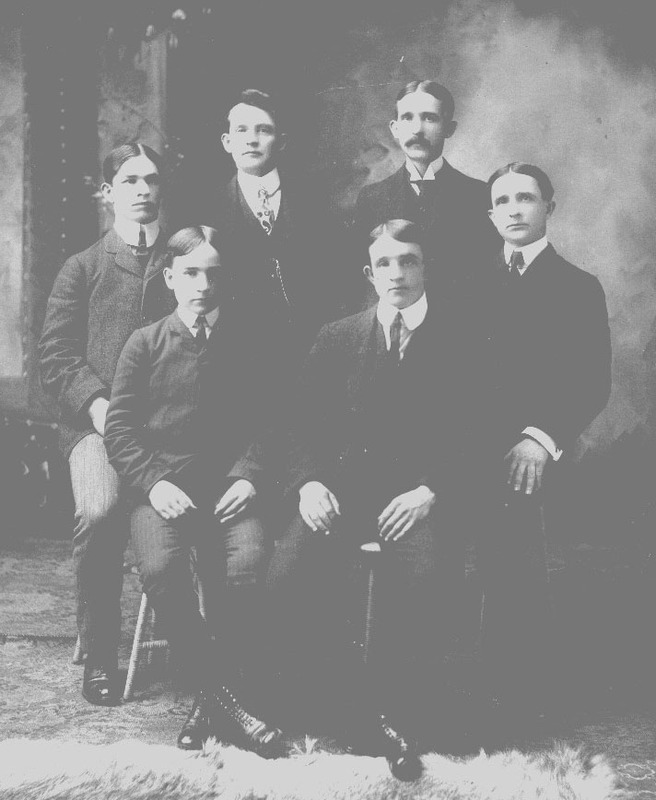 Then in about 1890, he moved to Portland where he attended the Portland Business College and graduated in June 1891. In Portland he first lived with his aunt and uncle, Alfred and Kate Slocum. He first worked as a stenographer for the H. T. Hudson Arms Company. In 1898, he began working for the city's leading newspaper, The Oregonian, as an advertising specialist. Apparently in about 1913 Louis suffered some kind of mental breakdown and never fully recovered. He committed suicide by slicing his throat with a razor while wading in Bear Creek in Medford, Oregon. 6 Frank Martin* Plymale was born on March 10, 1874 in Manzanita Pct. (now Medford), Jackson Co., Oregon 25. He died on April 3, 1928 in Fresno, Fresno Co., California 25. He is buried in the Jacksonville Cemetery, Jacksonville, Jackson Co., Oregon. Frank was never married or had any children. Apparently, he was an alcoholic with a chronic ulcer condition and never had any steady occupation. He started adult life working in the newspaper business, but afterwards worked as a clerk, a hotel porter and a cook. He moved quite frequently and often lived with different siblings. He lived in Jacksonville, Salem and Medford, Oregon and the following cities in California: Yreka, Woodland, San Francisco, Sacramento, Madera and Fresno. *Various online sources incorrectly list his middle name as "Mark", when in reality it was Martin. He was named after his mother's brother, Frank Martin. 7 Emaline (Ceres Rebecca) Josie* Plymale was born on July 13, 1876 in Jacksonville, Jackson Co., Oregon 17. She died on May 27, 1951 in Oakland, Alameda Co., California 17. *She was baptized with the name "Ceres Emma Rebecca Plymale" (various online sources often incorrectly list her middle name as "Cerese", yet the name was never spelled that way). She never used her name Ceres after childhood. As a child and teenager, she always went by the name "Emma". As an adult though she always went by the name "Emaline", and sometimes used the middle name "Josie." She was educated in Jacksonville, Oregon, where she was on a school list in 1893. In 1894 and 1895, she was living in Salem, Oregon, where several of her siblings lived. In 1896, Emma moved with her sister Ada to Oakland, California. She moved back to Jacksonville, Oregon, sometime between 1897 and 1900. 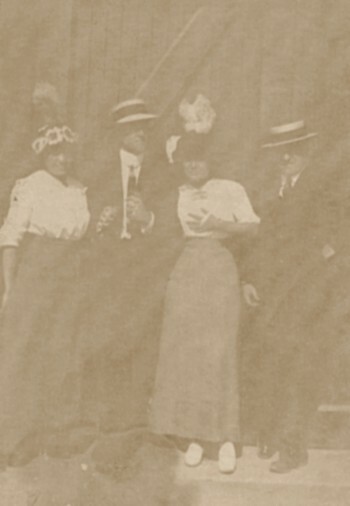 After their marriage in May 1900, she and her husband lived in Yreka, California. Sometime between 1901 and 1906 they moved to Woodland, California, where they remained for several years. In 1919, they moved to Sacramento, California, where they were living as late as 1921. In 1922, they were living in Fresno, California. In 1923 and 1924, they were in nearby Reedley, California. In 1927, they were again in Fresno, California. In about 1928, they moved to Oakland, California, where they remained. 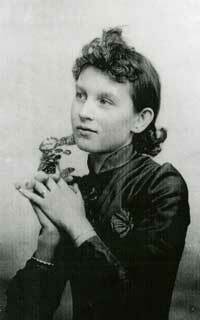 8 Marie Frances (Minerva)* Plymale was born on July 14, 1878 in Jacksonville, Jackson Co., Oregon 27. She died on September 7, 1953 in Oakland, Alameda Co., California 27. She is buried in the Evergreen Cemetery, Yreka, Siskiyou Co., California. *She was baptized with the name "Mary Minerva" and was known as Mary in her childhood, but as an adult always used the name "Marie Frances." In 1893, Marie was still attending school in Jacksonville. In 1896, she was living in Portland, Oregon and listed in the directory as a student. She returned to Jacksonville by 1898, when she married Harry Hatch. Unfortunately, he died three months after their marriage. She remarried to William Fairchild the following year and they lived in or near Yreka, California for the duration of their married life. She died while receiving hospital treatment in Oakland. 9 Carlos McDonough Plymale was born on January 2, 1881 in Jacksonville, Jacksonville Co., Oregon 15. He died on June 30, 1882 in Jacksonville, Jackson Co., Oregon 15. He is buried in the Jacksonville Cemetery, Jacksonville, Jackson Co., Oregon. He was called "Mackey." He died during a Scarlet Fever epidemic. 10 David Hovey Plymale was born on March 21, 1883 in Jacksonville, Jackson Co., Oregon 28. He died on October 3, 1933 in Bakersfield, Kern Co., California 17. David was living at home in Jacksonville in 1900, working as a day laborer. In 1904, he was living in Yreka, California, probably with one of his siblings. In 1910, he was living in Woodland, California with his sister Emaline. There he was working as a clerk in a shoe store. In 1912, he was living in Oakland, California, working in a department store. He was married there the following year. In 1918, he was living in neighboring Alameda, California, working as a salesman in San Francisco. Meanwhile he began attending the California College of Chiropody in San Francisco and graduated in June 1919 and was certified as a chiropodist in August of 1919. He soon after moved to Fresno, California, where he opened up a partnership as a chiropodist. They stayed in Fresno until about 1928, when he moved back to Oakland, California, but only stayed there about a year. In about 1929, he moved with his family to Bakersfield, California, where he remained. 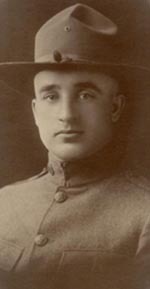 11 Victor Bellinger (Klippel) Plymale was born on August 9, 1886 in Jacksonville, Jackson Co., Oregon 30. He died on February 12, 1929 in San Francisco, San Francisco Co., California 30. He is buried in the Jacksonville Cemetery, Jacksonville, Jackson Co., Oregon. He married first to Ella Grace Loar on August 23, 1907 in Jackson Co., Oregon 10. (She was born in February 17, 1890 in Rathdrum, Kootenai Co., Idaho 47 and died on June 17, 1972 in Portland, Multnomah Co., Oregon 39.) They divorced on December 8, 1912. 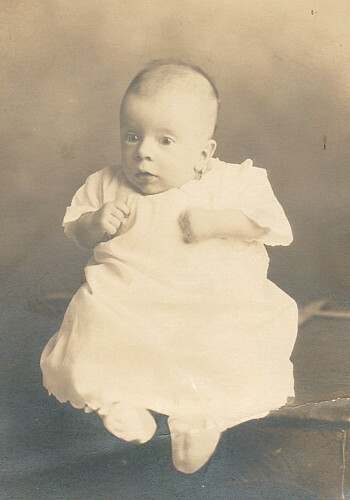 Victor was baptized with the middle name "Klippel" in 1887, but used "Bellinger" as his middle name throughout his life (Both Klippel and Bellinger were last names of some prominent Jacksonville families). After the death of his father in 1904, Victor was put under guardianship of his sister Kate until he attained his legal majority later that year. They moved to Medford, Oregon and Victor probably moved out not long after attaining majority. He continued to live in the vicinity of Medford and in 1910 was working at a saw mill outside the city. In about 1911, he moved to Portland, Oregon. This coincides with when his wife said in their divorce papers that he deserted her. In 1917, he moved to San Francisco, California, where he remained. In 1917, he was working as a porter in a hotel. He eventually worked as a chef in a restaurant in San Francisco. 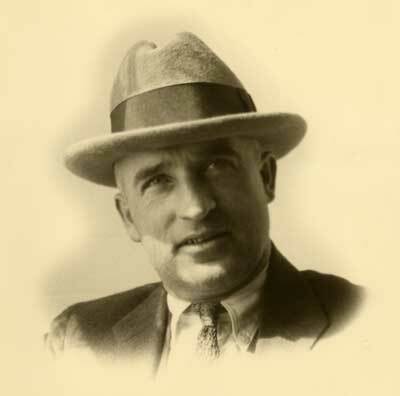 Benjamin Harrison Plymale was born on August 14, 1888 in Jacksonville, Jackson Co., Oregon 1,7,8,9. He died on February 10, 1929 in Medford, Jackson Co., Oregon 1,7,8,9. He is buried in the Eastwood I.O.O.F. Cemetery, Medford, Jackson Co., Oregon. Benjamin was named after Benjamin Harrison, President of the United States. He was actually named after him before he was elected President and during the time that he was campaigning under the Republican ticket. Benjamin never liked the full "Benjamin" and always went by "Ben." Ben's mother died in 1899 when he was only 10 years old. His father then died in 1904, leaving him an orphan at the age of 15. To make matters worse, after the death of his parents, their financial problems became clearer when their house was nearly repossessed because of nonpayment. At that time, Ben's unmarried sister Kate Plymale was appointed guardian of Ben and his brother Victor (who at 17, was also a minor). Six months later, Kate Plymale was married to Tom Collins. Soon after the marriage, Ben moved with them to Tom's house in the nearby city of Medford, Oregon. Ben was only in his sister's guardianship for about 8 months. In September 1904, she resigned guardianship and Ben (who was then 16) was then put under the guardianship of George Nichols (who was the brother of his aunt-by-marriage, Jane Nichols Plymale). The reason for this change in guardianship, and it is unknown if Ben ever lived with the Nichols family. Either way, Ben continued living in Medford where he attended and graduated from Medford High School. At some point after attaining his legal majority, Ben moved out on his own. In 1910, he was living in a house in Medford with two other boarders. He apparently spent the rest of his life living in various places in or in the vicinity of Medford. In 1910, Ben was working as a traveling salesman. In the early 1910s, Ben apparently opened and operated a restaurant in Medford with his partner Ernest Heffler. The restaurant was apparently not successful though. By 1911, Ben had begun working for the Model Clothing Company in Medford as a clerk. He remained employed by that company for many years and in about 1925, he took over as manager of the store. He was still the manager of Model Clothing Company at the time of his death in 1929. Surviving records infer that Ben was a happy individual who enjoyed having fun. Some records during the 1910s show that some of his activities included going on duck hunting trips, going on trips to the Oregon Coast, attending dances and parties, and drinking alcohol. At some point during the mid-1910s, Ben began a relationship with a young woman named Vera Merriman, who was 8 years younger. Their relationship may have started because Ben was close friends with Claud "Shorty" Miles, who was married to Vera's sister Blanche. Ben and Vera had probably started dating by 1915 and were engaged by 1917. Records infer that Ben was one of the only successful members of the family. When his brother Frank died in 1928, only Ben, and his siblings Kate, Emaline, Marie and David were counted on to help pay for the expenses. The other siblings - Ada, Walter and Victor - were acknowledged as being too poor. He was married to Vera Vivian Merriman on May 16, 1920 in Medford, Jackson Co., Oregon 1,10. 2 Mary Josephine Plymale was born on January 1, 1929 in Medford, Jackson Co., Oregon 1,11. She died on December 19, 2003 in Woodinville, King Co., Washington 11. She is buried in the Acacia Memorial Park, Seattle, King Co., Washington. She married to Paul Wesley Brown on November 8, 1947 in Portland, Multnomah Co., Oregon. Ben Telfer Plymale was born on May 23, 1926 in Medford, Jackson Co., Oregon 1,2. He died on August 8, 1981 in Bella Bella, British Columbia, Canada 3,4. He is buried in the Calvary Cemetery, Seattle, King Co., Washington. Ben was named after his own father who always hated the full version of the name "Benjamin." Ben spent his youth in Medford. His father died when he was just a toddler, and his mother raised him and his sister by herself during the Great Depression. Despite the lack of a father in his upbringing, Ben was apparently doted on by his older relatives (many of whom were childless). Ben was a gifted child, with an interest for education and discovering how things work, like electrical and mechanical objects. Ben spent his entire youth at the family's home at 59 N Orange Street in Medford, Oregon. In 1941, Ben and his family moved to Portland, Oregon. They lived at 3934 NE Alameda Street. There, Ben attended Grant High School where he graduated probably in June of 1944. While in high school, Ben worked in the mail order department at Montgomery Ward in Portland. Meanwhile, Ben had been enrolled in the ROTC program with aims at paying for college, but was kicked out of the program because of some cheating scandal. He then enlisted in the Navy in February 1944. 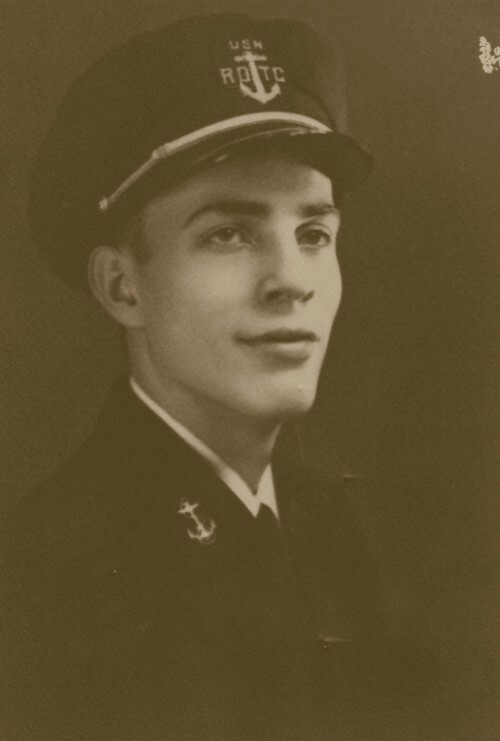 He entered active service in Seattle, Washington, where he attended a Navy college training program (V-12 Unit) at the University of Washington. Later, he spent 16 weeks at the Naval Training Station in Great Lakes, Illinois. The majority of Ben's active service was on Guam, part of which was spent during World War II. Ben was honorably discharged on June 7, 1946 in Bremerton, Washington. Meanwhile, Ben attended the University of Portland in Portland, Oregon, where he graduated in 1948 with a Bachelor's degree in Physics and Mathematics. Meanwhile, Ben was married to Patricia Bixby in 1948. They honeymooned in San Francisco, California and then moved directly to Seattle, Washington. Ben attended graduate school at the University of Washington in Seattle, but he never finished his degree. In their first two years living in Seattle, it appears that Ben did not hold any regular job. During this time, Patricia worked as a secretary to support them until she quit in December 1949, 3 months before she had their first child George. In November 1950, Ben was hired at Boeing Company as an engineer and remained with them until his death. When Ben and Patricia first moved to Seattle in 1948, they lived in an apartment in the Phinney Ridge area. In 1951, they moved to an apartment in the Rainier Beach area of south Seattle. In 1953, they purchased a house at 3413 Bella Vista Avenue S in the Mt. Baker neighborhood of Seattle, where they remained. 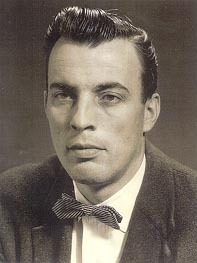 Ben was highly successful at Boeing Company and had become a low-level executive by the 1960s. During his time at Boeing he worked on many programs including ballistic missile development. In 1959, Ben purchased some beach-front land near Port Angeles, Washington and had a cabin built; used as a recreation/vacation home for him and his family. Ben and Patricia were divorced in 1968. Ben remarried to Susan Reardon later that year, who had five children from a previous marriage. In that same year, Ben moved to Annapolis, Maryland, where he had accepted a position working in the Department of Defense as an adviser. In 1972, he returned to Seattle where he purchased a home on Lake Washington. He eventually became a Vice President at Boeing Company, but still devoted attention to Republican politics. In 1980-1981, Ben served on Ronald Reagan's transitionary team. He even co-authored Reagan's original defense budget. By middle age, Ben had become rather unhealthy. He suffered two heart attacks and contracted lung cancer, and had one of his lungs removed. Ben turned around his unhealthy habits and beat those diseases. Unfortunately though, he died on August 8, 1981 while on a fishing trip in rural Canada, because he neglected to take oxygen supplies with him. He was 55 years old. He married first to Patricia Joy Bixby on June 5, 1948 in Portland, Multnomah Co., Oregon. 1 George Francis Plymale was born on March 11, 1950 in Seattle, King Co., Washington 1,2. He died on November 21, 1989 in Seattle, King Co., Washington 4. He is buried in the Evergreen-Washelli Cemetery, Seattle, King Co., Washington. He married to Vickie Jean Moon on September 3, 1975 in Seattle, King Co., Washington. They divorced in 1980. He had a relationship with Jodi June Kelkenburg. 2 Catherine Jean Plymale [identifying information on living individual is withheld]. She married first Douglas Richard Wilks on April 25, 1972 in Seattle, King Co., Washington. They divorced in 1986. She married second to John Robert Mallett on August 12, 1989 in Seattle, King Co., Washington. They divorced circa 1995. 3 Infant Plymale was stillborn on December 12, 1953 in Seattle, King Co., Washington 5. He is buried in the Calvary Cemetery, Seattle, King Co., Washington. 5 Deane Francis Plymale was born on May 14, 1956 in Seattle, King Co., Washington 1,2. He died on June 11, 2000 in Seattle, King Co., Washington 11. He is buried in the Evergreen-Washelli Cemetery, Seattle, King Co., Washington. He married to Sherrie Angela Schreier. 6 Martha Jane Plymale was born on May 14, 1956 in Seattle, King Co., Washington 1,2. She died on February 24, 1957 in Seattle, King Co., Washington 2. She is buried in the Calvary Cemetery, Seattle, King Co., Washington. Ben married second to Susan Catherine Hodges, ex wife of William James Reardon, on January 25, 1968 in Everett, Snohomish Co., Washington 6. She was born on August 9, 1936 in Great Falls, Cascade Co., Montana. She died on June 30, 1990 in Seattle, King Co., Washington 4. She is buried in the Calvary Cemetery, Seattle, King Co., Washington. She married David Randall Wadleigh. 1. Plymale, John F. The Plymale Family in America. Commercial Printing & Lithographic Co.: Huntington, WV, 1967. 13. Walling, Albert G. History of Southern Oregon. 1884. 31. Genealogical Material in Oregon Donation Land Claims. 1962, Volume 3. Go here to go to the Plymale family website. This is where I have gotten a lot of my information. 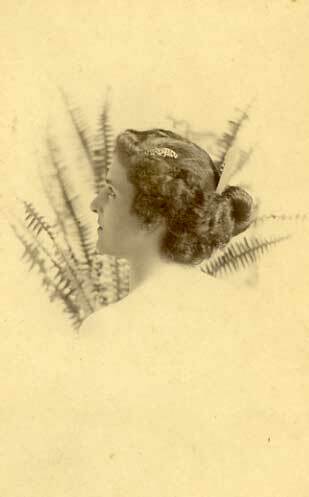 Rhea Mitchell (1890-1957) of Oregon and California was the granddaughter of Elizabeth Plymale Ross. She was an early and somewhat famous silent film actress, enduring her most fame during the mid 1910's. She played in a total of 72 films from 1912 to 1951. She was murdered in Los Angeles, California in 1957. Zelia Zigler McElroy Von Tress (1903-) of Oregon, California, Pennsylvania and Indiana is the granddaughter of Sarah Plymale Zigler and is noted as being an early executive and female business person. 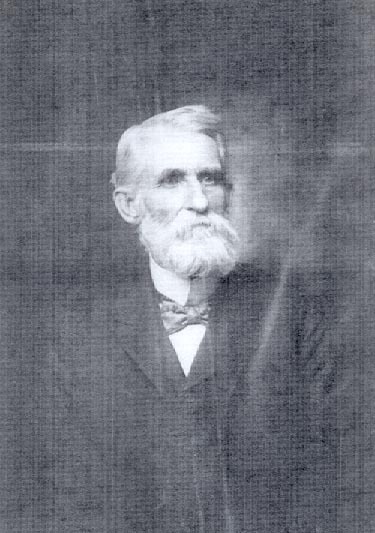 Cornelious J. Armstrong (1853-1943) son of Minerva Plymale Armstrong is reputed to have been the first white child born in Jacksonville, Oregon. Anderville P. Armstrong (1855-1922) son of Minerva Plymale Armstrong was the proprietor, owner, president and principal of the Portland Business College in Portland, Oregon. Leah Fairchild McConnell (1905-1995) was the daughter of Marie Plymale Fairchild. She was an early and quite successful business woman as well as a philanthropist who did much for the improvement of cities in Northern California.